Ryan Seacrest’s young start up idea, Typo has been given a blow by Blackberry who states it infringes on their copyright patents. 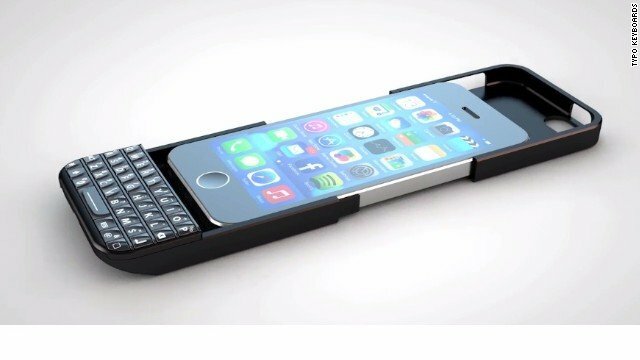 Seacrest had the idea to sell a Blackberry style keyboard attached to an iPhone case to make it easier to type messages and emails. The result would have been an iPhone with a physical keypad rather than relying on a touch screen. After Blackberry caught wind of the idea they sued Seacrest and now a court order has barred Typo Products LLC from selling the $99 iPhone case. Blackberry has been struggling in recent years. After once being the most sought after cell phone brand, Blackberry is now struggling to make sales and it seems their famous keypad is all that they have left. BlackBerry has convincingly shown that BlackBerry’s keyboard designs are a key driver of demand and goodwill for BlackBerry phones,” stated US District Judge William Orrick. “Typo’s keyboard directly targets the segment of smartphone users that prefer a physical keyboard, the market in which BlackBerry competes,” he continued. Seacrest has stated that he is disappointed with the decision and that he will continue to appeal the order.